Peonies are one of the great glories of the late spring garden. The silky soft, colorful, often fragrant blooms have a natural opulence that make them as treasured in the garden as they are in vases in the house. The gorgeous blossoms are produced by remarkably carefree and robust plants that require almost no maintenance and take twitchy spring weather in stride. In addition to producing lovely flowers that are superb for cutting, the value of their foliage should not be overlooked. In the early spring garden, the reddish-green stems of emerging herbaceous peonies make a fine companion or backdrop for daffodils, tulips and other early spring arrivals. 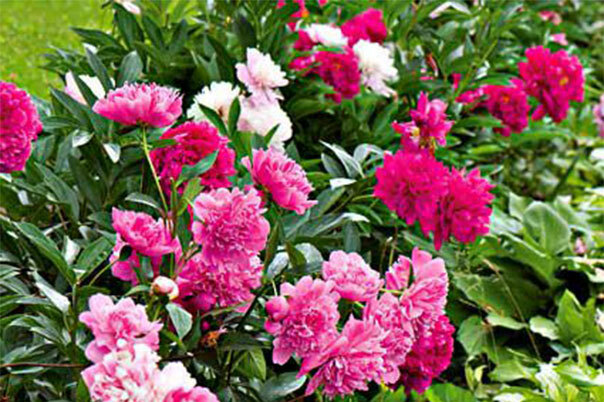 Planting and transplanting peonies of all types should be undertaken with a bit of care. 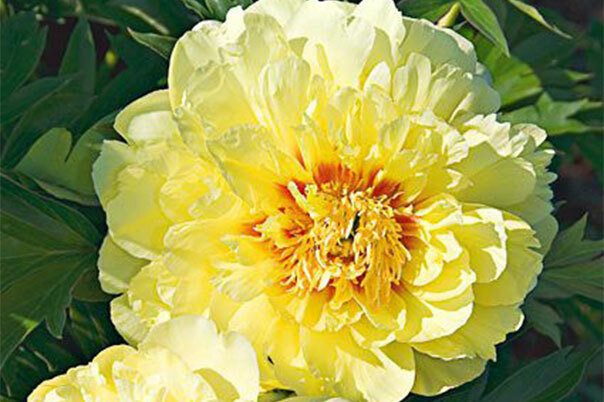 Click theses links to find all the advice you need along with helpful tips for planting and growing herbaceous and tree peonies. These long-lived perennials range from exquisitely delicate singles to large and lush doubles, with shades from pure white to the deepest red. Here in Connecticut, they usually produce their display in June, and their glossy, deep green leaves look good all season. Peonies make superior cut flowers, lasting more than a week if cut in full bud. A cross between Herbaceous and Tree Peonies, these plants generally blossom between Tree Peonies, which are first to blossom, and Herbaceous Peonies. 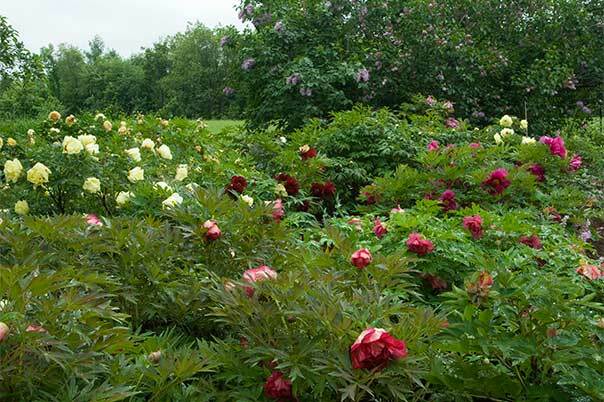 By planting Intersectional varieties, you extend the Peony blossom season in your garden, creating a continuous flow. In its native China, the Tree Peony (Paeonia suffruticosa) ranks as a national favorite, and it’s easy to see why. These hardy shrubs produce exquisite floral displays, with silky blooms measuring up to 10” across in May and June. Tree Peonies are woody plants that retain their structure year-round. Slow to mature, don’t be surprised if there are few or no flowers the first spring after planting; plants generally take a few years to settle in and bloom heavily, but mature plants reach 4–5’ and bear up to 50 showstopping blooms. Deer and disease resistance add to their appeal.